Participating Youths (PYs) are expected to bring back their SSEAYP experiences to society through conducting Social Contribution Activity as their post-program activities. Alumni Associations/SI encourage ex-PYs to put their ideas into actual projects by giving advices and supports. SCA shows the growth of PYs which can be easily recognized as the visible outcome of SSEAYP and post-program activity. - Educate local villagers on health education, de-worming and hygiene. 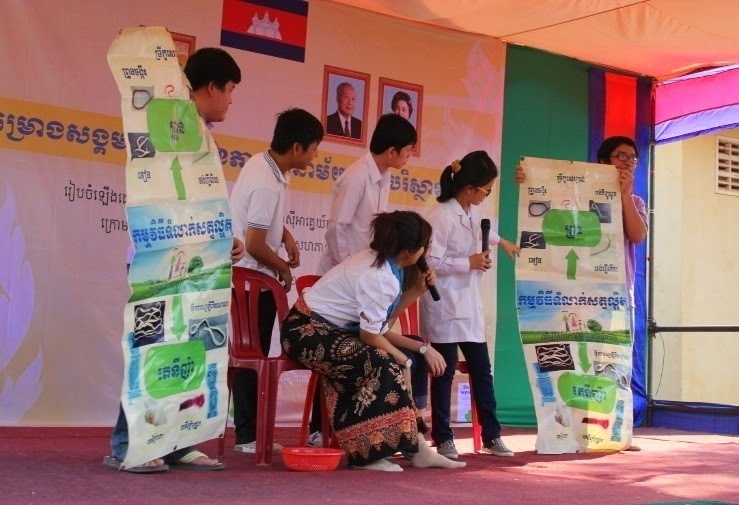 - Improve educational awareness of sanitation, promote the healthier lifestyle of local children and people in Xaythany district, Vientiane Capital. - Photo exhibition by PYs who take pictures of old generations and collect their life stories in order to heal the gaps between old and young generations. The activities of ex-PYs are so interesting.